Francisco Alves Mendes Filho, Chico Mendes, had just turned 44 years old on December 15, 1988, one week before being murdered. Born in the Brazilian state of Acre, in the “seringal” (rubber tapper settlement) called Porto Rico in Xapuri city, he started working as a rubber tapper when still a child, following his father’s steps. His life as a union leader began with the foundation of the Rural Workers Union of Brasiléia, in 1975, when he was chosen to be the general secretary. In 1976, he was actively engaged in the rubber tappers’ fight against deforestation through a strategy of resistance called the "empate". He also organized several actions to defend the people’s right to land ownership. In 1977, he helped found the Rural Workers Union of Xapuri, and was elected City councilman for the political party MDB (Brazilian Democratic Movement). During this same year, Chico Mendes suffered the first death threats from the local ranchers, at the same time that he began to face several problems within his own political party, the MDB, which was not supportive of his struggles. In 1979, Chico Mendes transformed the City Council into a great forum of debates between union, popular and religious leaders, being for that accused of subversion and submitted to hard interrogations. In December of the same year, Chico was tortured in secret. Having no support, he was not able to denounce the fact. With the appearance of the Workers Party, Chico became one of its founders and leaders in Acre, participating in local assemblies together with Lula. 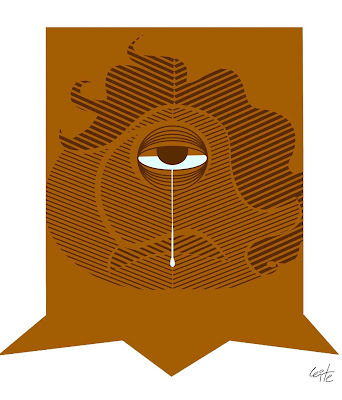 Still in 1980, Chico Mendes was framed within the National Security Law, at the request of the local ranchers who attempted to involve him in the revenge murder, promoted instead by forty landowners, of a rancher believed to be involved in Wilson Pinheiro’s murder, the Brasiléia Workers Union’s president. In the following year, Chico Mendes became the Xapuri Workers Union president, and kept that position until the time of his death. In this same year, Chico was accused of inciting landowners to violence. Being tried by the Military Court of Manaus, he managed to avoid his preventive detention. In the November 1982 elections, Chico Mendes ran for the seat of state congressman of the Workers Party, the PT, loosing the election. Two years later he was tried again, being acquitted by lack of evidence. In October 1985, he lead the 1st Rubber Tappers National Meeting, when the Rubber Tappers National Council (CNS) was created, becoming its main point of reference. From then on, the rubber tappers struggle, under Chico Mendes's leadership, gained national and international exposure, strengthened by the proposal of the "Forest People Alliance”. This proposal aimed to unite the common interests of the indigenous communities and the rubber tappers in preserving the amazon forest as well as the creation of the extractive reserves in order to protect the indigenous areas and the forest, and ensure, at the same time, the rubber tappers’ agrarian reform. During the 2nd Rubber Tappers National Meeting, scheduled on March 1989, Chico should assume the CNS presidency. In 1987, United Nations members met Chico Mendes in Xapuri, where they witnessed the extent of forest devastation and the expulsion of rubber tappers caused by projects financed by international investments. Two months later, Chico Mendes was bringing these accusations to the North American Senate and to one of the financing banks meeting, the BID (Bank of Interamerican Development). After thirty days, the financing to the devastative projects were suspended and Chico was accused by local ranchers and politicians of hindering the " progress " of the State of Acre. 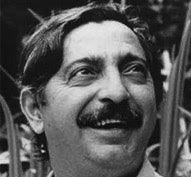 Months later, Chico Mendes began to receive several national and international awards and acknowledgments, such as the Global 500 prize by the UN, for being one of the persons that most stood out on that year in defense of the ecology. During the year of 1988, Chico Mendes, who was being increasingly threatened and attacked by organized groups stemming from the recently established UDR (Rural “Democratic” Union) in Acre, expanded his struggle through several areas of Brazil, by participating in seminars, lectures and congresses, where he could denounce the predatory actions against the forest and the ranchers’ acts of violence against the Xapuri workers. On the other hand, Chico was responsible for the accomplishment of a great dream: the implementation of the first extractive reserve in the State of Acre, in addition to the expropriation of rancher Darli Alves da Silva from the Seringal Cachoeira, in Xapuri. From then on, the death threats became very serious, as Chico himself denounced several times. He made it very clear to the police department and government officials that his life was in danger and that he needed protection, to the point of giving out the names of his probable murderers. During the 3rd National Congress of CUT, Chico Mendes once more denounced this situation, along with several other rural workers from different parts of the country. The situation was the same everywhere; criminal violence was being perpetrated by the UDR from north to south of Brazil. In this same Congress, Chico Mendes defended the thesis presented by the Xapuri Union, "In Defense of the Forest People", unanimously approved by the approximate 6 thousand delegates present. At the end of the Congress, he was elected substitute of the CUT national direction. On December 22, 1988, Chico Mendes was murdered at his home’s door. Chico was married with lIzamar Mendes and left two children, Sandino, 2 years old, and Elenira, 4.